Some hosting providers impose limitations on size of files to upload and, therefore, you may need to upload some files (e.g. plugins and themes) directly through your cPanel. 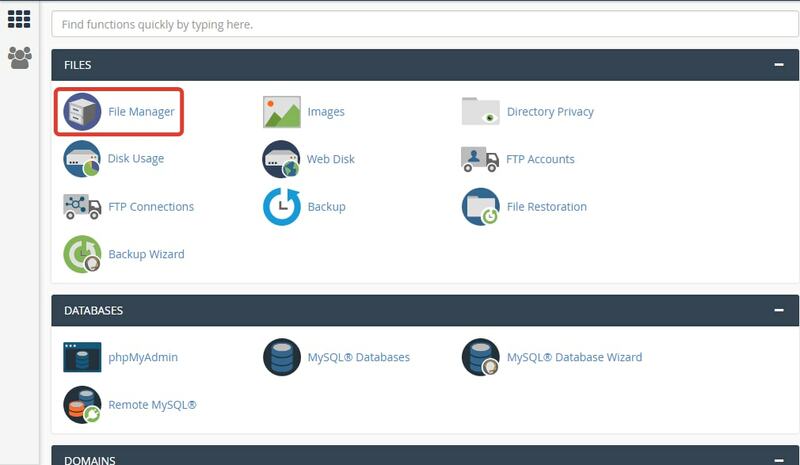 To upload files to your server, go to File Manager in your cPanel account. The server root folder is located here. If you want to upload files to a subfolder, use the left-hand folder tree. Use the Upload button to upload files to your server. Please note that the files you intend to upload must be zipped. Once the file has been uploaded, unzip it by pressing Extract.